Published in: Papenfuss, G.F. (1950). 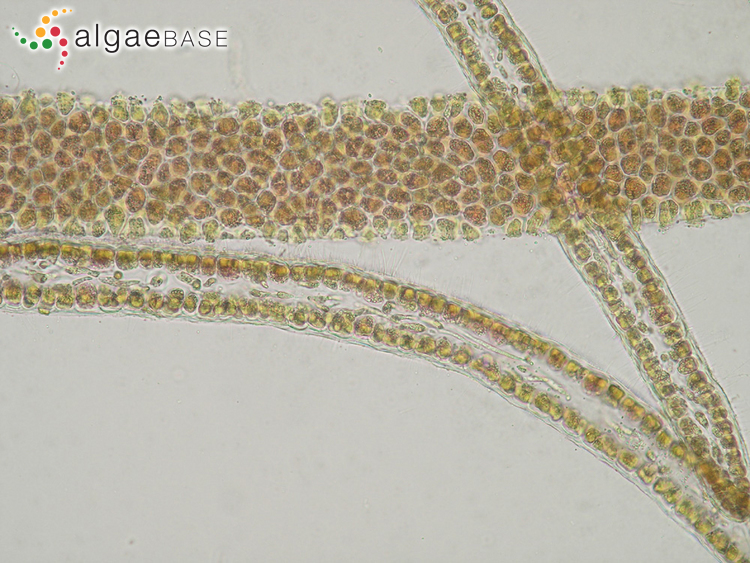 Review of the genera of algae described by Stackhouse. 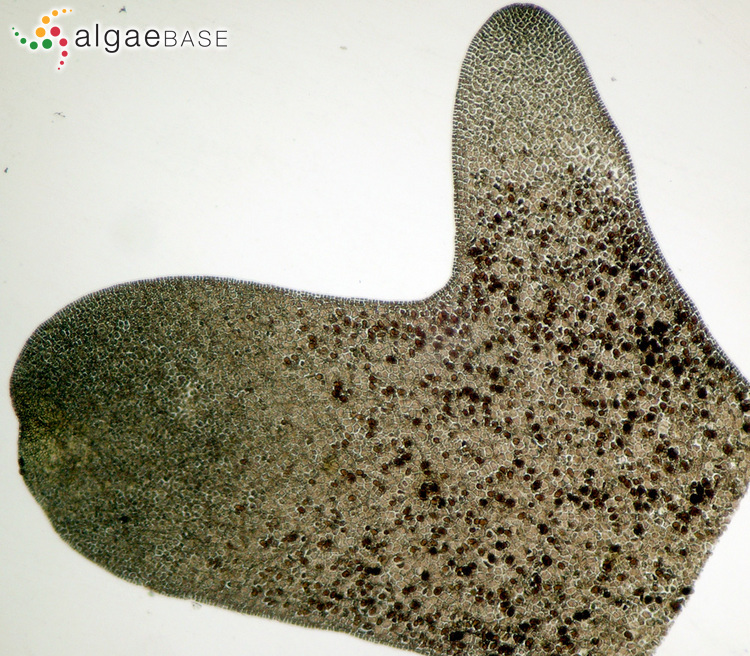 Hydrobiologia 2: 181-208. English: Leafy Rose Weed (Bunker et al. 2010). 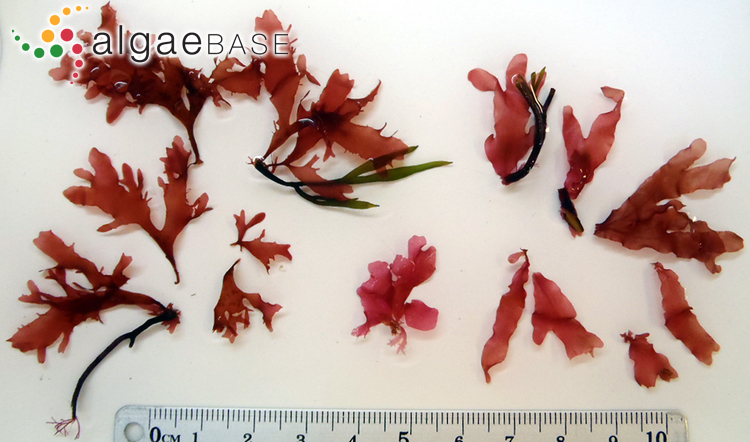 Translucent, membranous, carmine fronds, dichotomously divided from base, in dense globose tufts to 100 mm high. 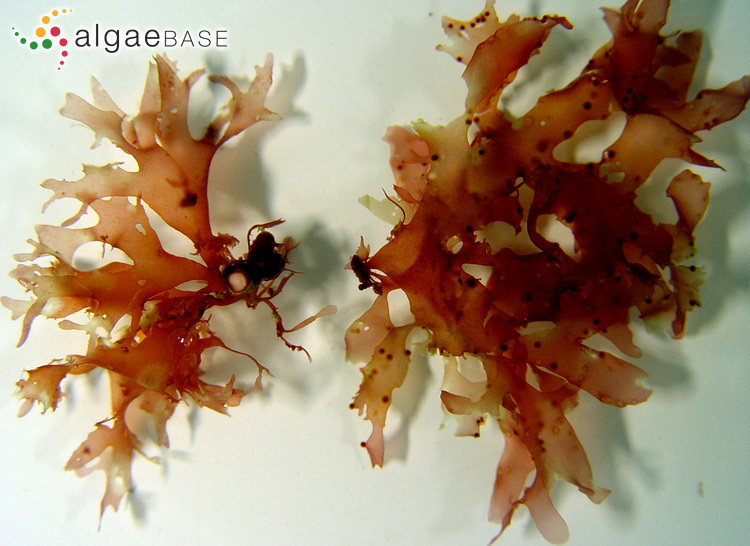 Segments with rounded apices, veins absent, margins smooth or fringed with leafy processes. On rocks, shells and epiphytic, subtidal, widely distributed, common. Dixon, P.S. & Irvine, L.M. (1977). Miscellaneous notes on algal taxonomy and nomenclature. IV. Botaniska Notiser 120: 137-141. Accesses: This record has been accessed by users 3419 times since it was created. López-Hernández, M., Gil-Rodríguez, M.C. & Afonso-Carrillo, J. (1990). Sobre la presencia de Rhodophyllis divaricata (Stachkouse) Papenfuss (Rhodophyllidaceae Engler, Rhodophyta) en el Archipielago Canario. Homenaje al profesor Dr. Telesforo Bravo 1: 479-482.